Peacock Inn in Kettering has a beer garden. The pub has a car park, it has disabled facilities. 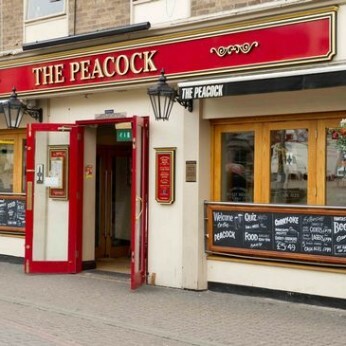 Peacock Inn is a family friendly pub. The pub serves food, it has an outside area. Peacock Inn serves real ale. The pub has free WiFi, it is a member of Cask Marque. Simply show this voucher to the bar staff at the Peacock Inn to claim £1 off any bottle of Bulmers.